Recently, while in Kuala Lumpur on a mind boggling hot & humid day, I had a a sublime Pimm’s Cup…Just the right amount of Pimm’s No. 1, Ginger Ale, Cucumber & ice in a very tall glass. It absolutely revived me and my friend, food writer & book author, Nancy Davidson. Truthfully, it was her idea to order a Pimm’s and I followed suit. It is the perfect cocktail for a hot summer day in Nashville, or anywhere else for that matter. Pimm’s No. 1 has only 25 percent alcohol so is a pretty laid back liqueur. 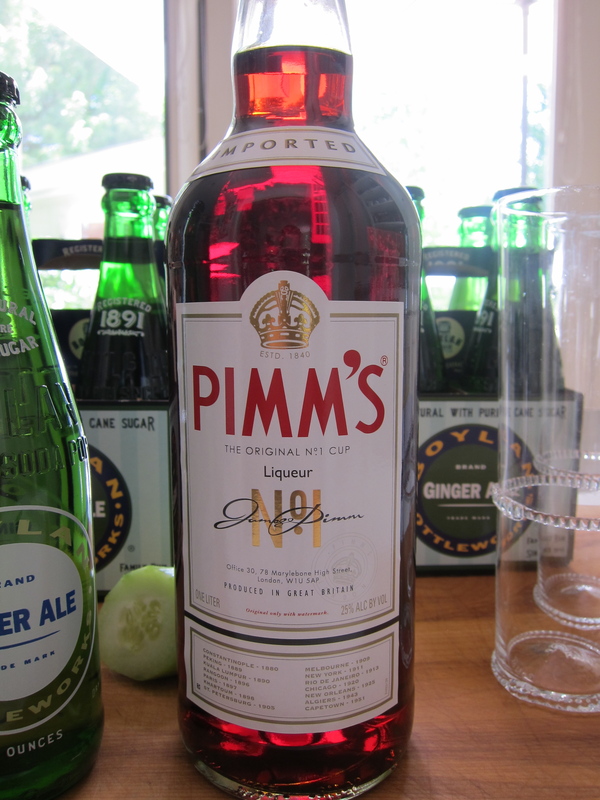 Along with Gin & Tonic, the Pimm’s Cup was what many Brits living in Southeast Asia & India used to help mellow sticky hot days unlike anything they had ever experienced back home in the UK. Pimm’s No. 1 has been around for over 150 years, had a few years of unpopularity, but is making such a strong comeback that at times it is hard to find in my local liquor store. This week we scored one of the three bottles available and on Saturday took our favorite ginger ale, some chilled sticks of Cucumber and our Pimm’s to a dinner party. It was a hot evening, very humid and our Pimm’s Cups carried us through. I had emailed Nancy earlier in the week for her favorite recipe and she sent me this simple, refreshing version. 2 oz. Pimm’s No. 1, 6 oz. Ginger Ale, Cucumber slices for garnish. 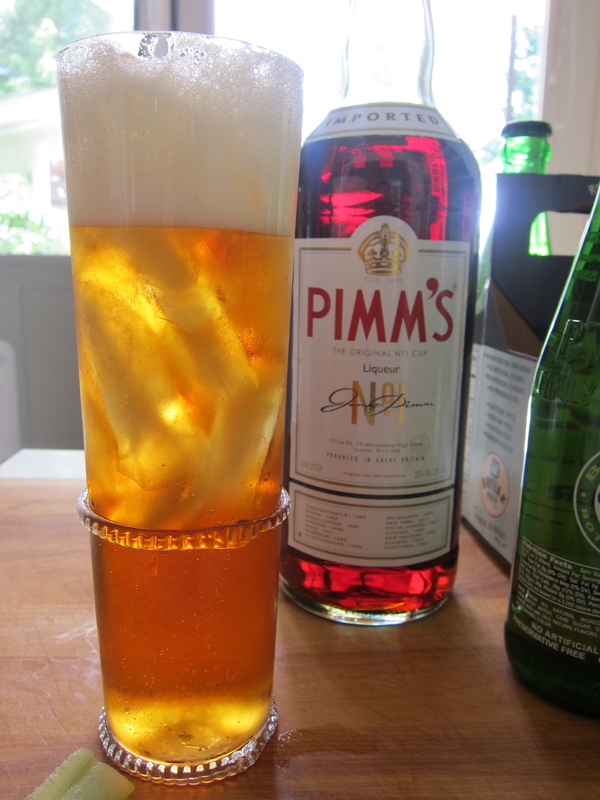 Fill a tall Collin’s type glass with ice, pour in Pimm’s No. 1, add Ginger ale & garnish with Cucumber slices. 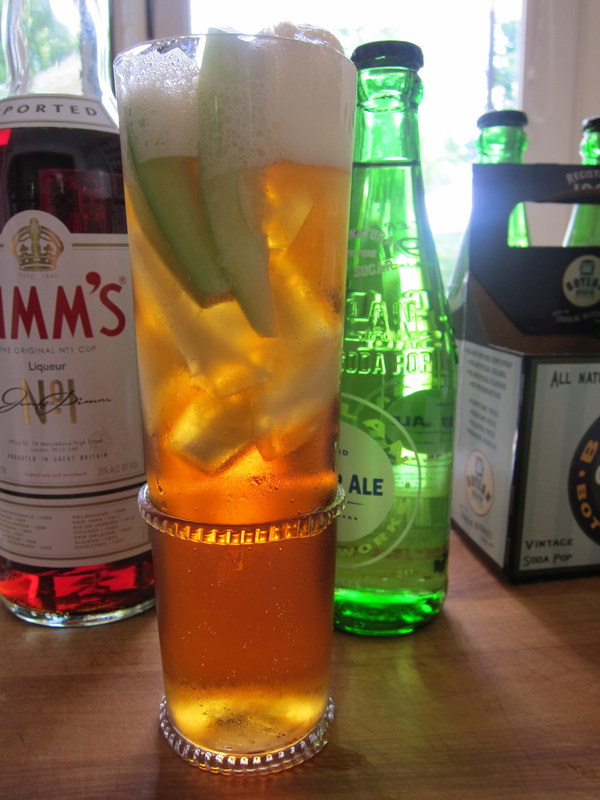 Pimm's, Boylan's Ginger Ale made with pure cane sugar. Cucumber added, ready to drink. I can personally attest to the yummy factor of the Pimms Cup. It went perfectly with the spicy, cool, mediterranean style menu we had on Saturday night and made me feel quite continental! So delicious and refreshing! Just like our conversations in Malaysia!